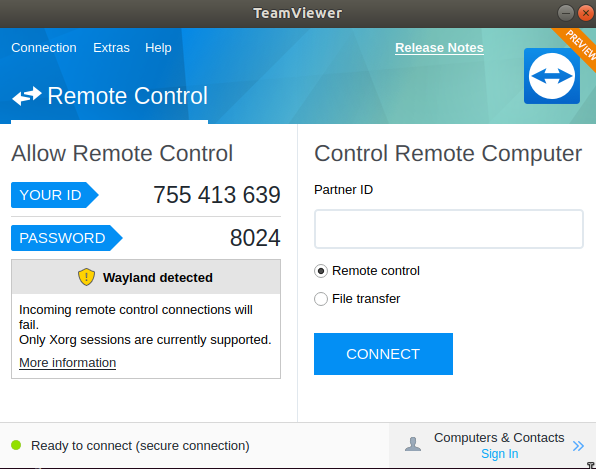 In this article, we are going to show you how to install Teamviewer on your Ubuntu 18.04 and Debian 9.4 system from the command line. 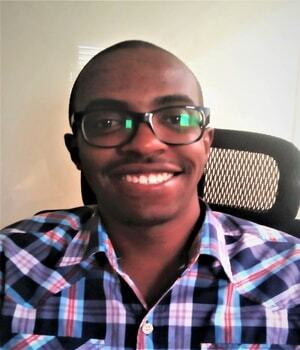 Teamviewer is a software application that allows users to securely gain remote access to any computer in the world that has an internet connection and Teamviewer installed. In addition, it allows file transfers between remote computers and can facilitate web-conference meetings. 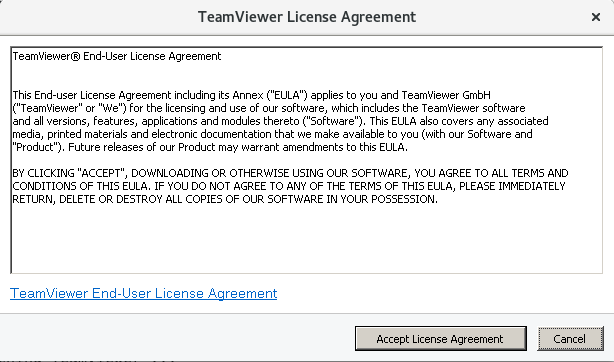 You'll be presented with a pop-up window prompting you to accept the Terms and conditions of Teamviewer. Click on "I agree". Finally, a Teamviewer front-end window will be displayed indicating that it is ready to connect. If you are running on Wayland graphical display, you will get an error "WayLand Detected" as seen above and this cannot allow incoming connections. To go around this problem, disable the Wayland display and enable Xorg display. To upgrade Teamviewer, you first need to uninstall/remove the old version. This is done using the following command as earlier seen. 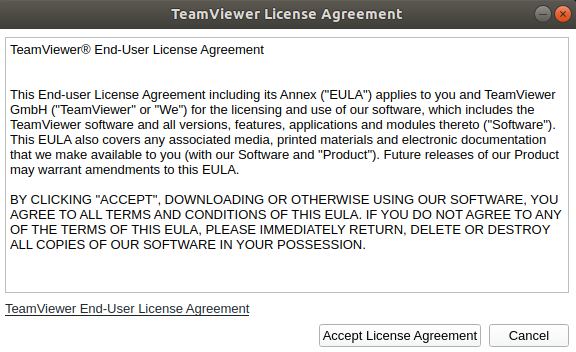 This downloads the latest TeamViewer i386 package. Now, you will have successfully updated your TeamViewer. Next, we are going to install the tools and prerequisites required for the installation. 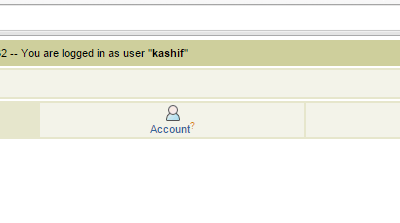 Use wget command to download Teamviewer package. At this point, you should see the TeamViewer package already in your system by running the ls command. 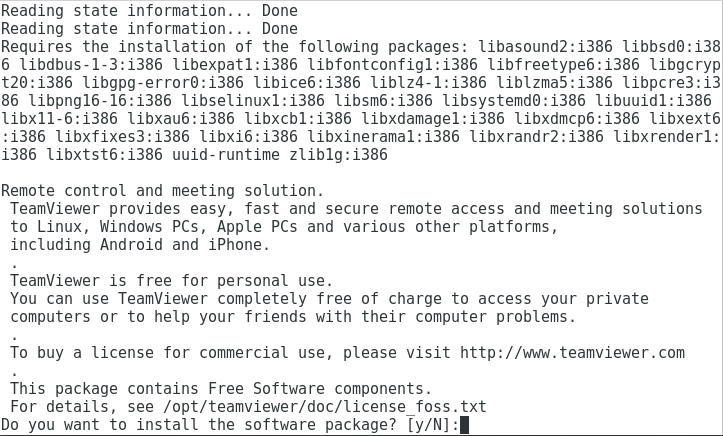 To launch TeamViewer, execute the command below in terminal. 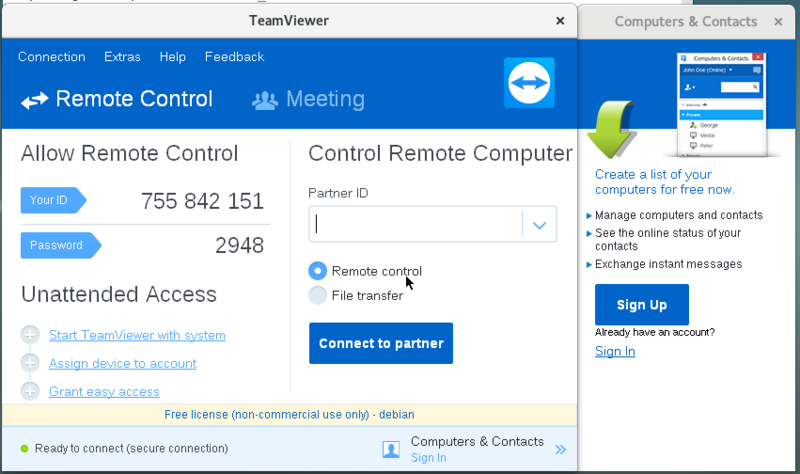 The TeamViewer front-end graphical window will appear ready for a remote connection! For the best outcome, ensure that you have a good internet connection - this applies both to a primary and remote site. 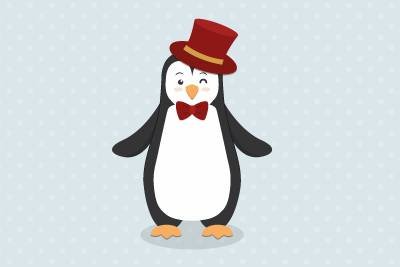 You are welcome to try out the commands. Keep it locked for more insightful tutorials. Thank you. Hey Tony, thanks for that, and for taking time to go through our guide.